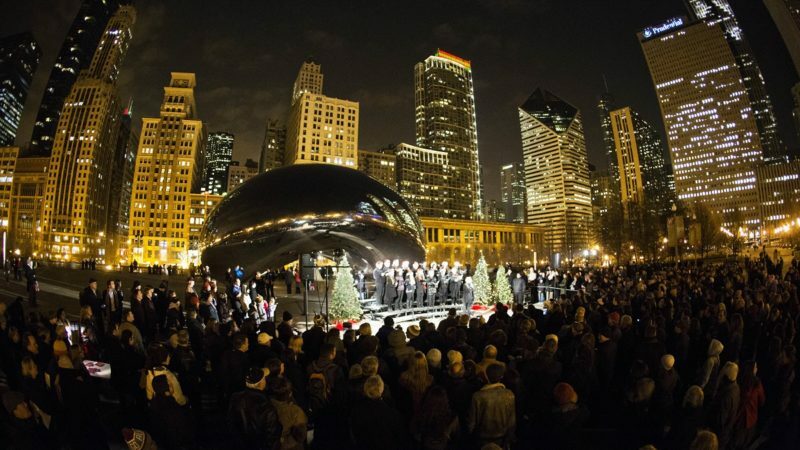 Caroling at "The Bean" is one of the fun and free holiday activities for families in Chicago's Millennium Park. Photo courtesy of Adam Alexander Photography. 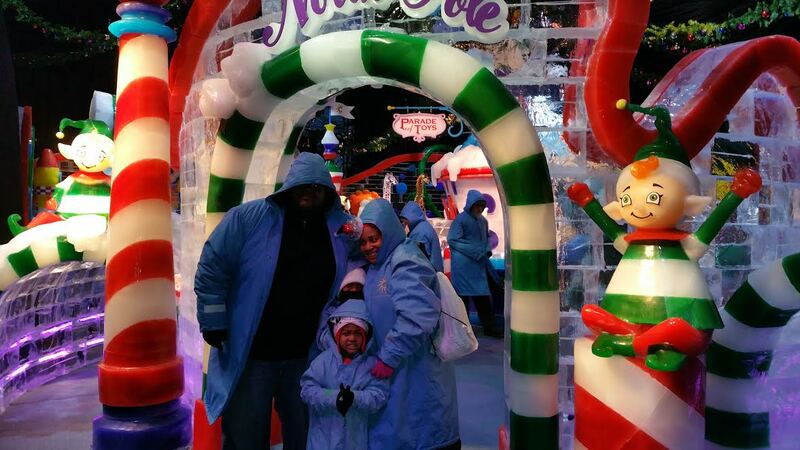 Silver bells, silver bells, it’s Christmas time in the city … and that means fun, holiday events in Chicago with the family. Millennium Park is the epicenter. Families can ice skate with Santa, listen to choirs sing international Christmas songs, dance along to “The Nutcracker,” or watch the annual tree lighting. Best of all, almost all of it is free! Read our Chicago holiday guide for families, and join in on the Chicago holiday traditions. A Chicago holiday tradition is to place wreaths around the necks of the lions at the Art Institute. 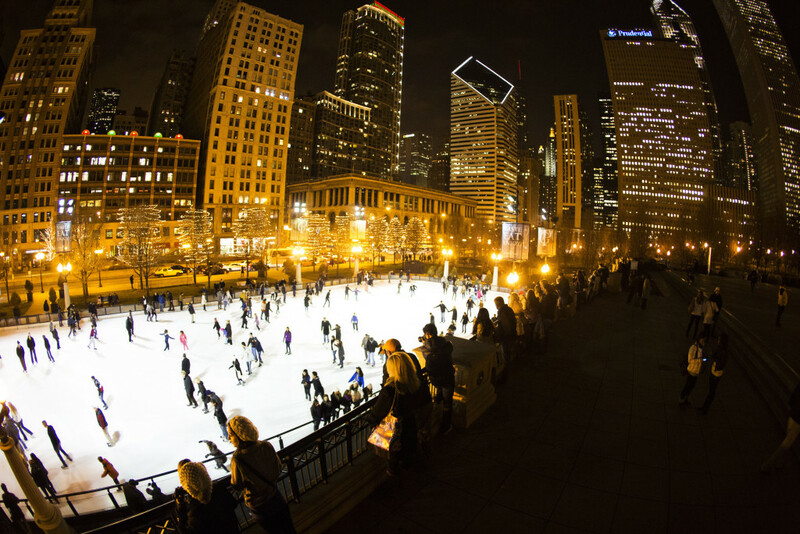 Shopping and shows, skating and singing…Chicago does the holidays up right. There is SO MUCH for families to do during this time of year. It’s actually a great time to visit. This is an only-in-Chicago event. 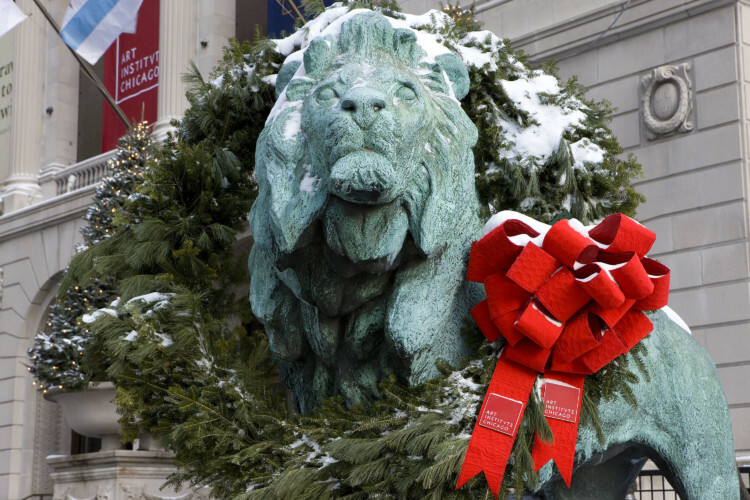 The iconic Art Institute of Chicago lions are adorned with their holiday wreaths at 10 a.m. Friday, Nov. 24. Then you can go inside and see the Thorne Miniature Rooms, a popular exhibit for kids, decorated for the holidays. Admission to the Art Institute is free for children under 14. Adults are $25. 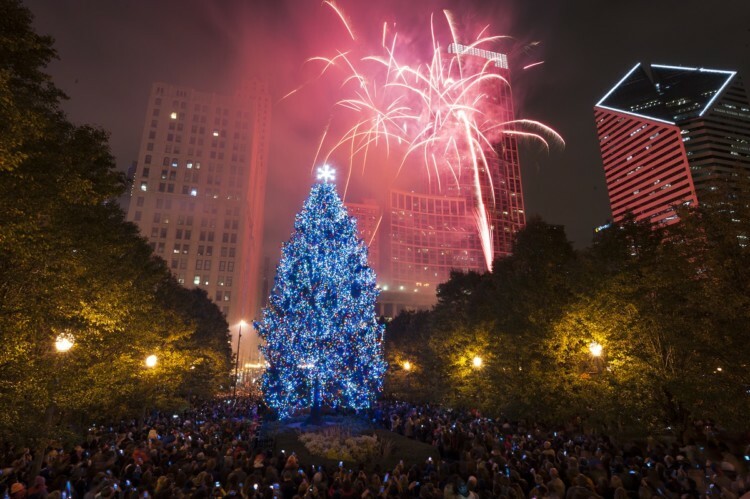 Chicago’s annual tree lighting is a popular holiday event for families. At 6 p.m. Friday, Nov. 17, Chicago will flip the switch and light its 62-foot tall Norway Spruce in Millennium Park. In addition, there’s live entertainment and an appearance by Santa. Maggie Daley Park’s ice rink has a unique “ribbon” path that winds through the park. In comparison, the McCormick Tribune skating area is a typical outdoor rink – except it’s surrounded by skyscrapers. Skating is free but skate rental is $12 ($14 on weekends). A Dance-Along Nutcracker is a fun family activity during the holidays in Chicago. 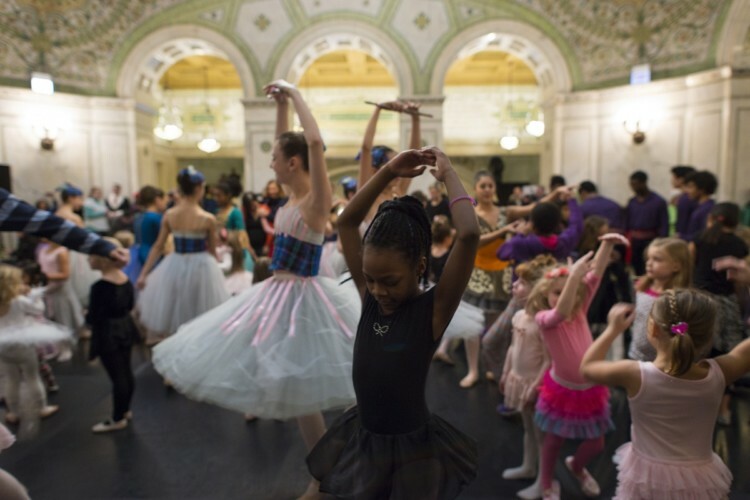 At 11 a.m. and 2 p.m. Sunday Dec. 3, take dance lessons at the Chicago Cultural Center. There all ages can learn to dance like sugar plum fairies and mouse kings. Then watch a performance – or participate! – at noon and 3 p.m. It’s free! 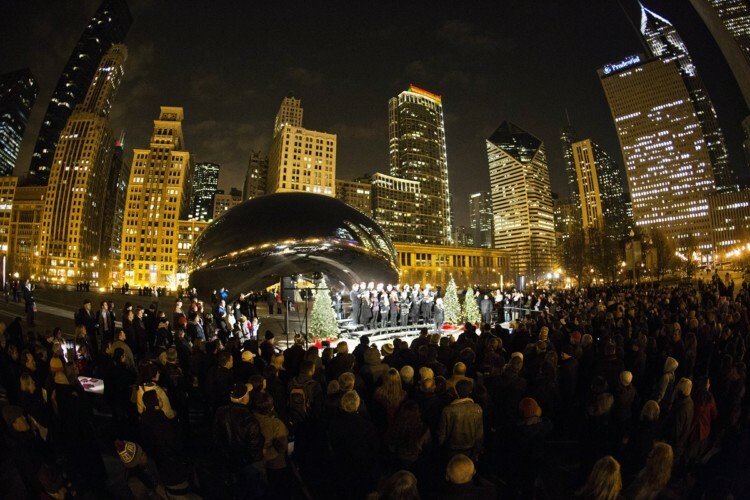 From 6 to 7 p.m. every Friday night, local Chicago choral groups perform in front of the iconic Chicago sculpture. You can sing along with some of the songs, and Santa is usually there, too. Caroling at “The Bean” is one of the fun and free holiday activities for families in Chicago’s Millennium Park. Photo courtesy of Adam Alexander Photography. Harris Theater for Music and Dance will hold several free holiday concerts. On Thursday Dec. 14, Samuel del Real’s Latin Quartet will perform a series of international Christmas songs. Then they will talk about the different instruments, with lots of audience interaction. Also, at 7 p.m. Dec. 18 and 19, they’ll host a Do-It-Yourself Messiah with a professional orchestra. There, you can sing Handel’s masterpiece along with the 1,500 other audience members. Cost is $15 per ticket. Then at 7:30 p.m. Dec. 20, The Chamber Music Society of Lincoln Center will do its annual performance of the Brandenburg Concertos. Tickets start at $30. Starting Nov. 24, Lincoln Park Zoo’s famous ZooLights turns on its elaborate animal-themed light displays. In addition, you get to visit the actual animals. Most impressively, the zoo and the light display are free. Saturday night, Nov. 18 is Chicago’s huge annual BMO Harris Bank Magnificent Mile Lights Festival Parade starring Mickey and Minnie Mouse. A million holiday lights twinkle as the parade cruises down North Michigan Avenue. Dance of the Sugar Plum Fairies is one of the highlights of Joffrey Ballet’s “The Nutcracker.” Photo courtesy of Cheryl Mann. The Joffrey Ballet’s “The Nutcracker” is a gorgeous ballet done to a live orchestra playing the famous Tchaikovsky score. 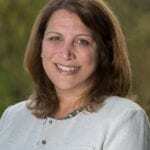 I love it, and so does MidwestTravelingMom Andrea Guthmann. Read her review here. Seeing the window displays at Macy’s on State Street (formerly Marshal Fields) has been a Chicago tradition for decades. Go inside Macy’s afterward to shop, see Santa, and gaze at the giant “Great Tree.” You can also get in line for lunch in their legendary Walnut Room restaurant. They’re famous for their chicken pot pie. Christkindlmarket, in downtown’s Daley Plaza, celebrates German and European holiday traditions with food, drinks and live entertainment. Most of all, people come here to shop and drink hot chocolate or mulled wine from the collectible mugs. It runs from Nov. 24 through Christmas Eve. It’s worth the drive to west suburban Lisle to see the Morton Arboretum’s “Illumination.” Walk a mile-long forested path past creative, unique holiday light displays in the trees. This year, they’ve added a tech component using a wearable pendant. The Chicago Botanic Garden in north suburban Glencoe has a magnificent train display, the Wonderland Express. The electric train winds through an extensive indoor garden. 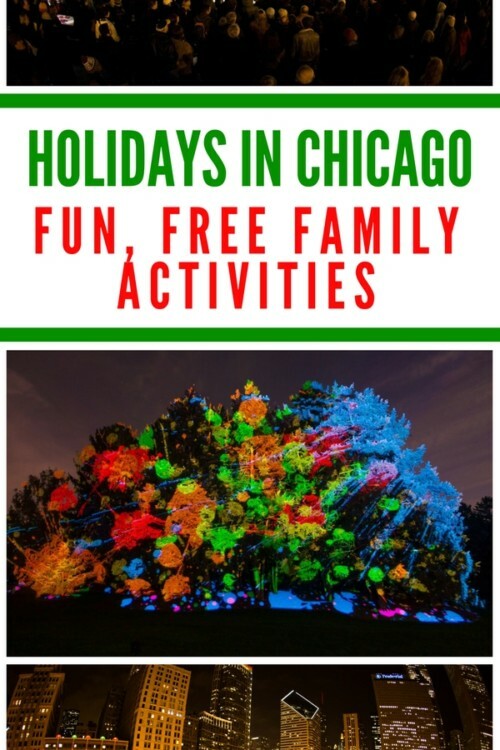 In addition, find more things to do with kids in Chicago during the holidays in my other TravelingMom story.